Meze, an informal and modestly priced Greek restaurant, is sending out the souvlaki and more in Shoreham, New York. 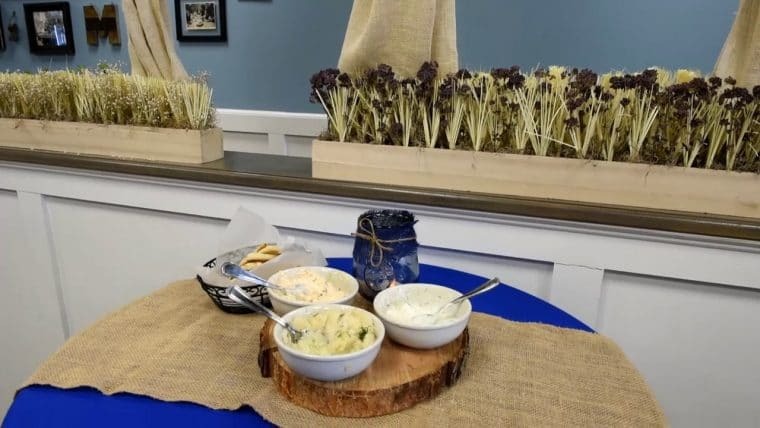 The new restaurant offers traditional Greek spreads, including eggplant, caviar, garlic, spicy cheese, and yogurt varieties; saganaki, or pan-seared kefalograviera cheese; fried zucchini and fried eggplant; stuffed grape leaves; stuffed peppers; and Greek salad. You’ll also find pita sandwiches, with pork, chicken, and beef souvlaki; falafel; moussaka; pastitsio; spanakopita, or spinach pie; burgers; and platters starring grilled lamb chops, gyros, souvlaki, and vegetarian fare.